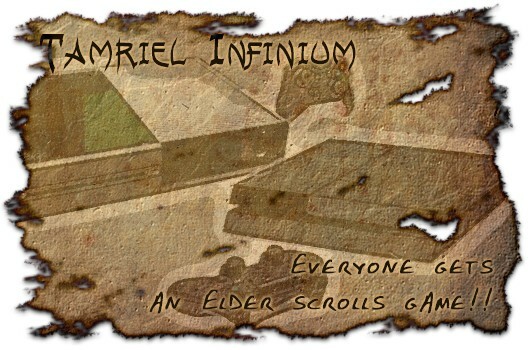 Tamriel Infinium: Everyone gets an Elder Scrolls game! The more convention coverage I read and the more conventions I go to, the more I’m concerned by them. The atmosphere is unlike anything I’ve ever experienced before, and rubbing shoulders with the developers of some of my favorite games has its perks. But you hardly ever get to the meat of what determines a great game. Amidst the hype and free booze, every game looks and tastes great, but even the greatest games are less filling under those circumstances. Even we observers from home receive only a candy-coated glimpse of what a game really offers. The news pouring in from the The Elder Scrolls Online really exemplifies the layers of fluff that the convention atmosphere can place on a game. Two of our reporters spent time talking to the developers of the next venture into the world of Tamriel, and both stepped away with a very positive experience. Admittedly, I feel the excitement, too. I’m twitching with joy. Our freelancer Andrew’s note that he “just didn’t realize [he] was starting a quest when [he] talked to [quest givers]” piques my interest. Have we finally found a game that feels like a living world? And quotes from the ESO developers like, “You can pick up a sword and shield if you start as a sorcerer class and become a sword and shield user, and that’s fine” have me wondering if we haven’t stumbled upon the best mix of sandbox and themepark in an MMO. This week and next, I want to delve deeper into the reports from E3. Do we find some concerns that the developers are trying to gloss over, or is ESO everything we ever wanted from an Elder Scrolls game? The biggest announcement by far arrived before E3 officially began: The Elder Scrolls Online will launch on PlayStation 4, Xbox One, PC, and Mac. During the pre-show press conference, we saw a new ESO trailer featuring all in-game footage, and of course, the voice of Max von Sydow, who has kind of become the quintessential voice of the Elder Scrolls. Even though von Sydow appeared in Skyrim alone, his voice encapsulates the feeling of the whole series. When his voice kicked off the trailer with, “A new dawn is upon us,” the game suddenly became a bigger concept than what I had originally perceived it as. I don’t think anyone was surprised by the scope of Skyrim, but for some reason, I thought that ESO was intended to cater to the niche of PC gamers who liked Elder Scrolls and also liked MMOs — maybe adding a few new people to the fanbase of the MMO genre in the process. With this trailer (the first trailer for ESO some people had seen), our niche game stepped into the larger world of gamers in general. If Bethesda had announced that the game would appear on the WiiU, too, I would have flipped. Thankfully, that didn’t happen, but proclaiming that TESO will be playable on all other platforms both intrigues and concerns me. I love the idea that other types of gamers can experience the same satisfaction that I feel when playing an MMO. That’s not to say that MMORPGs are perfect by any means, but there is no other gaming experience like it and no other gaming experience I’d rather have. It’s about time that console RPGers can experience it, too. Yes, I know DC Universe Online and a couple of other MMOs have crossed over to the console, but these games have really struggled at winning over either crowd fully. The Elder Scrolls already has a solid audience on both PCs and consoles. If I were to name an IP that could make the crossover, the Elder Scrolls would easily be in my top five. Additional platforms bring with them additional problems. Obviously, the first question that popped up was, “Is everybody going to play on the same server?” and the second was, “Does that mean that the PC version of the game is delayed until the spring of 2014, too?” The answer is no to the first one, but unfortunately, the answer to the second one is yes. Personally, I don’t mind playing with console gamers. Sure, I’m a PC loyalist, but that not because I hate consoles. I just find PCs more flexible, and I have also found that PCs are ahead of the curve when it comes to graphics quality. But I know some people are so vehemently opposed to console gamers that they will refuse to play on a server that will support both types of gamers. Apparently, console players are the dredges of society to some PC players, but with 11.8 million players of Skyrim (a game PC players like to say was made for them) on Xbox 360 and PS3 combined, they can’t all be that bad. But I’m glad that ESO will be completely avoiding this issue by placing PC and Mac users on one server, Xbox users on another, and PS4 users on yet another server.